Doing this House of Instagram is such a joy not just because you all have such beautiful, inspiring homes but because with each one I get to know you a little better and you are all such a cool, friendly bunch! This week we are off to the other side of the world in Ft Worth Texas! I'd love to tell you I went there and shot this place myself but sadly not! 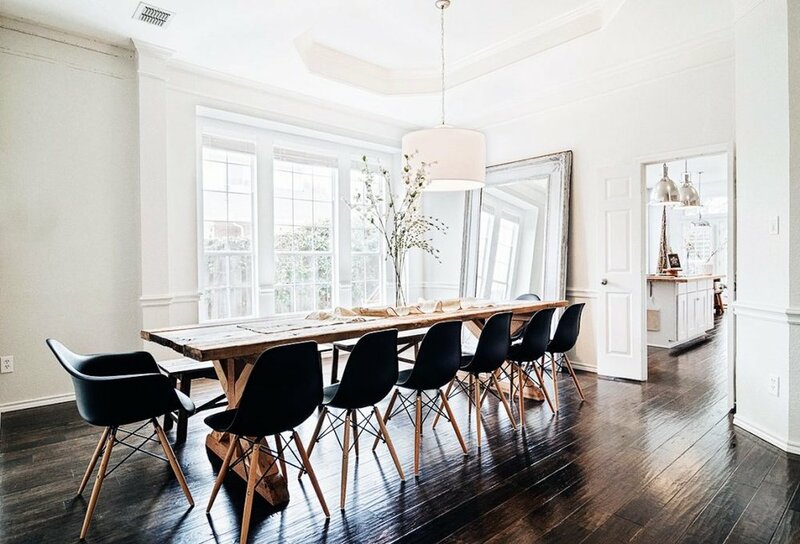 This is home to boutique design firm owner Ginger, her husband and their 5 kiddies! This lady has my complete and utter respect and admiration, not only does she have the most gorgeous home, 5 kids to bring up and her own successful design business, Urbanology Designs, she also has a very inspiring story behind it all...Ginger started her business two years ago just as she was finishing up 18 months of treatment for Breast cancer. She barely had energy at the time, but she knew without a doubt that this was what she was supposed to do. "Starting the business was almost harder then fighting for my life ironically.For the first time I really felt like I could fail at something and I was terrified.."
But she pushed past those fear, stood on her faith and gave it everything she had. Less then 6 months in, not only did Houzz discovered her work and featured the gender neutral Scandinavian kids room she did for her son and daughter, it ended up being the number one most popular kids room on Houzz for 2016! Ginger was blown away and so am I! Big huge respect for you Lady, you rock and I am so thankful you are sharing your story and your home with us today. You can follow Ginger on Instagram right here!